Dorothy McLaurin Love, the daughter of the late Gilbert Fletcher McLaurin and Lula Mae Smith McLaurin, was born on October 17, 1924, in Red Springs, North Carolina. She transitioned from this life on Saturday, January 26, 2019 at her home in Lumberton, North Carolina. Dorothy was the oldest of 15 children-eight girls and seven boys. In 1943 she married Rudolph Love. She was preceeded in death by her parents, her husband Rudolph, four sisters, seven brothers, her eldest daughter Carolyn Love-Townsend and two grandchildren, Tanya Love Jenkins and Lewis Love. She was employed as a domestic helper and cook until she retired at the age of 83. As an avid cake baker her specialties were wedding cakes, fruit cakes and pound cakes. Dorothy’s love for life was infectious and she was blessed to go on several sightseeing tours and cruises. She loved sharing the truth of the gospel and feeding the less fortunate in the community. 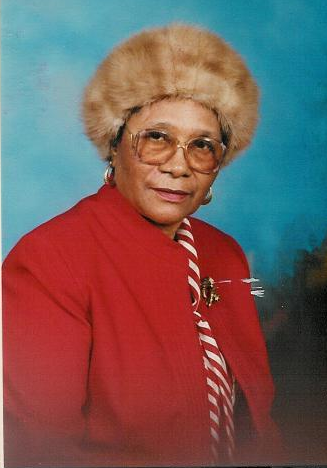 She leaves behind to cherish her memory: three daughters, Faye Love Thompson, Phyllis Ann Love, Fayetteville, NC, Chaunda LuElla Love, Lumberton, NC; two sons, Donald Love (Valerie), Fayetteville, NC and Tony Vernard Love, Lumberton, NC; three sisters, Annie Younger and Eva James (Bobby), Philadelphia, PA and Vera Hassell (Caesar), Manhattan NY; nine grandchildren, Dorothy Carol Love, Theresa Love, Sandra Love, Tracy Love, LaTreecha Thompson-Young, Eric Thompson II, Ursula Love Cheek, Shannon Carter & Atiya Barnes, 19 great-grandchildren; nine great-great grandchildren; three sisters-in-law, Tilatha McLaurin, Sadie McLaurin & Sandra McLaurin; faithful friends Karen Cherry, Vashti Walker, Allie Mae Oxendine and many nieces, nephews, other relatives and friends.